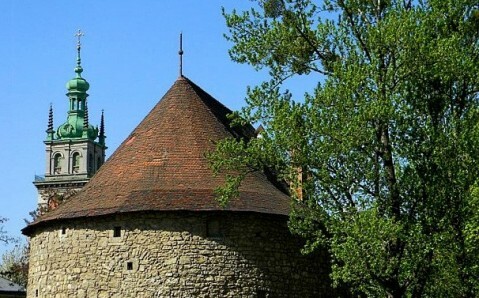 The Gunpowder Tower, standing in Old Town’s heart, is an outstanding monument of the Renaissance military and defensive architecture. 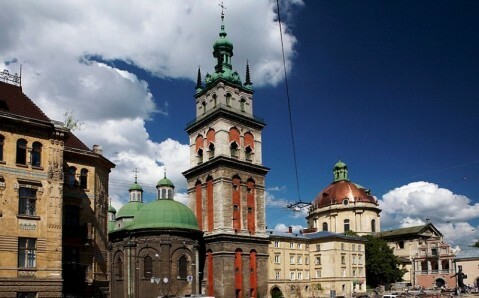 Its value is in that it is the only element of the medieval Lviv’s fortification system, which survived in perfect state until now. The tower was raised on the defensive hill that was located outside the city fortifications’ outer line, in the middle of the 16th century, and protected the eastern approaches to the city. 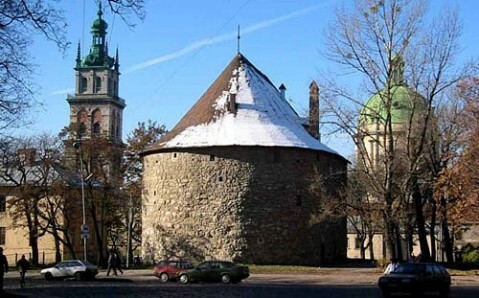 The semicircular Gunpowder Tower, built from rough stones of the pulled down city arsenal and covered with cone-shaped roof, used to be Lviv’s most powerful defensive facility. Its two and a half meter thick walls are cut with tiny loopholes, which served for the frontal and flanking fire on the enemy. In addition, the tower stored gunpowder and ammunition, which gave the tower its name. Besides defensive, the Gunpowder Tower had other functions as well. 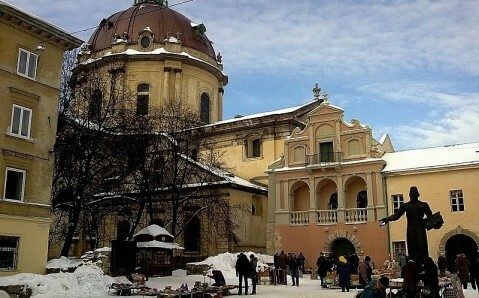 Given that the medieval Lviv lived mainly through trade, the conveniently located fortification was frequently used as a warehouse for grain and other goods that were transported through the city. 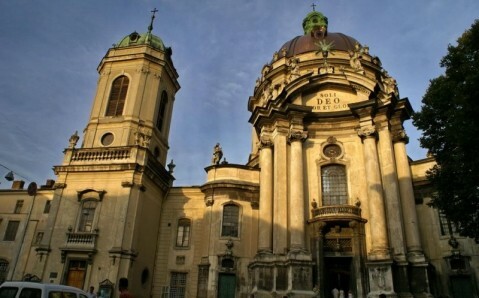 When Lviv was a part of Austria, the tower housed barracks, and later –artillery workshops. Four centuries ago, when the tower was still functioning, it seemed a lot higher than today. It was due to the fact that over this time the level of soils around the tower has risen for about two meters and covered the lower part of the construction. In the middle of the 20th century, the Gunpowder Tower was restored, and its genuine historical look was fully preserved, at that. 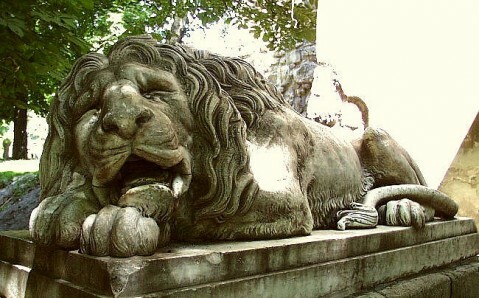 At the same time the entrance to the building was adorned with two sleeping lions from white marble, which are reckoned among the most beautiful ones in the city. After restoration, tower’s premises were occupied by the Lviv organization of the Ukraine Union of Architects and the showroom. Gunpowder Tower’s ground floor houses a cozy cafe, where you can have a cup of genuine Lviv coffee, and a souvenir shop. приємно пахне вогнищем з каміну.